Home is where the heart is. 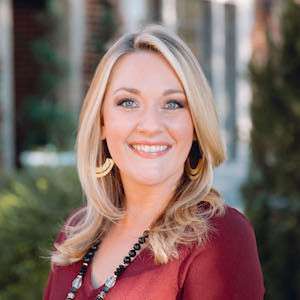 Lauren Valek Farris faithfully lives by this adage and strives to make her clients' dreams come true, whether buying their first home or selling their last. For many, a home is their sanctuary - a place to relax and feel completely safe. For others, it is a loving, warm and inviting place to raise a family. For most, a home is truly their largest source of pride and their best financial asset. Lauren understands every facet of what makes a home a home, both emotionally and financially. Having a trusted partner to protect this most coveted asset is crucial. Lauren brings this partnership to her clients and offers a wealth of experience, attention to detail and an intense work ethic - there is no job too big or too small for her. The oldest of four daughters, growing up in a large Lakewood family was fun, but it was also very challenging... Lauren knows how to work hard, how to understand others' needs, and - most importantly - how to problem solve. All of these are essential in the world of real estate. Her public relations background and MBA also tender a wealth of business knowledge utilized in almost every transaction. Lauren has maintained Top Producer status, selling multi-millions of real estate, year in and year out, as well as significant, landmark properties such as Lakewood's Herbert Marcus Estate. She joined forces with Kelley Theriot McMahon in 2015 to form The Farris McMahon Group. Both Lakewood natives, Lauren and Kelley are so excited about this partnership and continue to make their mark on the Compass office and bring extraordinary service to East Dallas. With a passion for historic homes and a clever eye for restoration and design, Lauren feels right at home amid East Dallas' abundance of beautiful and historic homes. This is where she lives, works, plays and finds her own inner Zen. She is passionate about the uniqueness of East Dallas and the variety of architectural styles found in each neighborhood - whether it be Lakewood Proper, Lakewood Heights, Lakewood Trails, Hollywood Heights/Santa Monica, The M Streets, Lochwood, Forest Hills or Lake Highlands. Earning the Preservation Dallas Historic Homes Specialist designation was a true honor for Lauren, and she applies her knowledge of all Dallas historic home styles on a daily basis. A lifelong parishioner of St. Thomas Aquinas Catholic Church, Lauren enjoys being involved in and giving back to her neighborhood and community. She is an active member of the Lakewood Area Women in Business organization, a member of the East Dallas YMCA and a member of the Dallas Alumnae Club of Pi Beta Phi. Lauren is also a member of Texas Exes and is passionate about Longhorns football. She resides in Lakewood with her husband, Davey, and two precious little boys, Wesley and Wright.